So far this year (2015), over 2,300 refugees have drowned in the Mediterranean trying to find a better life in Europe. Confronted with all of these horrifying images  such as that of Syrian toddler Aylan Kurdi, whose drowned body was found washed up on a Turkish beach  it's easy to feel depressed and powerless. But there is something we can do to help. The Migrant Offshore Aid Station has rescued over 11,000 refugees from the Mediterranean in the last year alone. Operating from Malta, they use advanced drone technology to spot boats in distress and dispatch their ship, the Phoenix, to provide life-saving assistance. Learn more about MOAS's work here. Follow the wider campaign here. 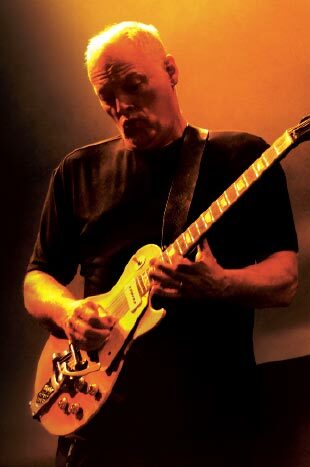 Following their performance on the title track of Rattle That Lock, the Liberty Choir has announced that David Gilmour and Polly Samson have become founding supporters. The choir has just relaunched their Website at the following link here. From the people that brought you McLibel comes a new film, an eco-documentary fusing fact, fiction and animation, called The Age of Stupid. It's about climate change, oil, greed and ignorance  and is certainly something that everyone should see. You can find out more by visiting the film's Website, and then joining the discussion at The Blog. On An Island was the first Columbia Records release to be manufactured under CarbonNeutral guidelines. The CarbonNeutral Company works to measure, reduce and offset CO2 emissions around the world. The objectives of Emergency are to bring medical and surgical assistance to the victims of armed conflict, to enforce the respect of human rights for those suffering the social consequences of war, hunger, poverty and marginalisation, and to promote a culture of peace and solidarity. Emergency's head office is in Milan, Italy. 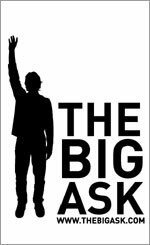 The Big Ask campaign is about tackling the biggest question the world faces  how do we stop dangerous climate change? It is about helping you get answers to this difficult question. The most important part of the question is  Is the UK Government doing enough about climate change? We think they should do a lot more. And 70% of you agree. Are you ready to get the Government to tackle the big question? It's a huge obstacle to climb  but together we can do it. The Big Ask is run by Friends of the Earth  an environmental campaign group. Climate change is no longer a concern for the future. 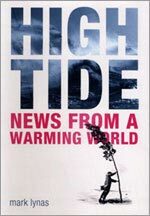 It's happening right now, and in this book the author takes us around the world to show that the impacts of global warming are already having a tangible effect on people's lives. This is an issue that is only going to be more and more present to more and more of us. And this is that issue's indispensable book. You can find out more about Mark, and purchase his books, by visiting his Web site. 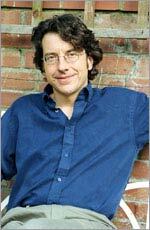 George Monbiot is a journalist, author, academic, and environmental and political activist in the United Kingdom who writes a weekly column for The Guardian newspaper. In 1995, Nelson Mandela presented him with a United Nations Global 500 Award for outstanding environmental achievement. He has also won the Lloyds National Screenwriting Prize for his screenplay The Norwegian, a Sony Award for radio production, the Sir Peter Kent Award, and the OneWorld National Press Award. You can learn more about George by visiting his Website. Spanner Films is a small London-based documentary company founded by film director Franny Armstrong in 1997.
Notable productions include Baked Alaska (2002), which posed the question: "America's coldest, richest State is warming ten times faster than the rest of the world, so why does Bush want to drill for more oil?". Drowned Out (2002) followed an Indian family who decided to stay at home and drown rather than make way for the Narmada Dam. 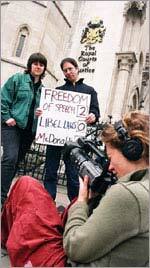 In the no-budget epic McLibel (1997/2005), a postman and a gardener took on McDonald's and won!